These days, Facebook and Instagram go hand in hand. The two services offer integration you simply won’t find across any other social media platforms. Unlike Twitter, which publishes your Instagram posts as basic web links, Facebook actually lets you share images directly from the photo-sharing app to your timeline and News Feed. 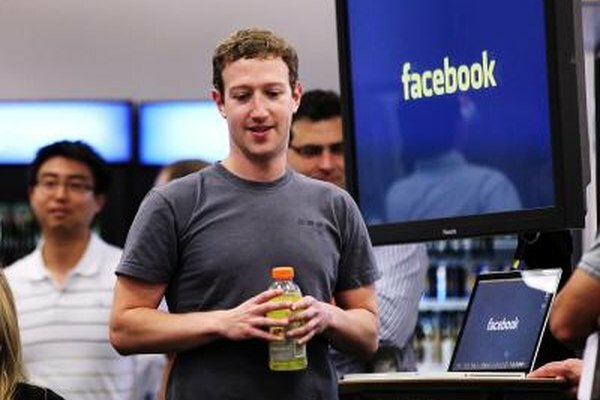 It makes sense for Facebook to provide streamlined features for a popular app like Instagram, especially given the social media giant bought the platform for $1 billion in cash and stock nearly six years ago. That said, the best thing about syncing your Facebook and Instagram accounts is how effortless it is. Before guiding you through the process, let’s take a look at some of the benefits. 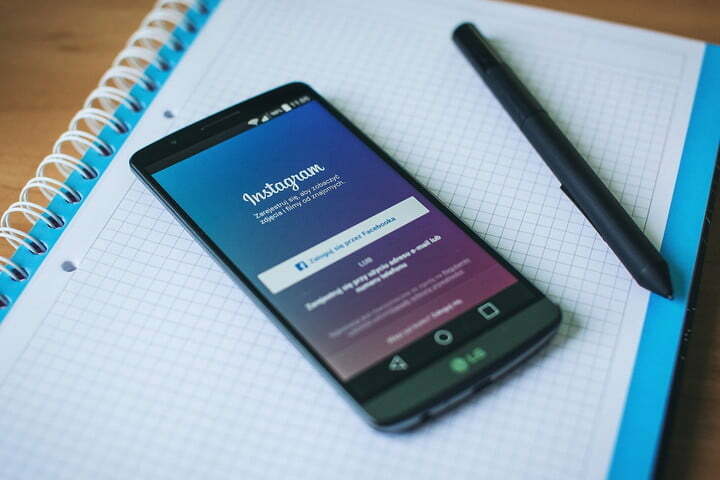 There are several reasons why you should consider linking Facebook and Instagram. 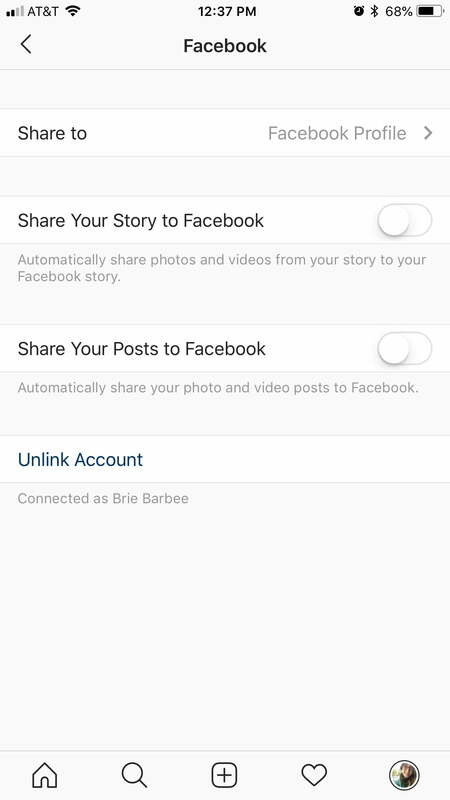 Linking will allow you to post the pics and videos you take or edit using the aforementioned photo-sharing app directly to Facebook. If you’re someone who enjoys getting likes on Instagram — and who doesn’t? — that will translate to Facebook, too. Each image or video shared goes back to its original source, allowing you to drive up engagement, whether from your friends or a wider audience (assuming your posts on both accounts are public). Facebook also has a significantly larger user base than Instagram, so there’s a chance it could help you to reach more people. And, seeing as Instagram’s algorithmic feed is thought to prioritize posts with higher engagement, the extra likes could help your content rank higher in the News Feed as well. Even for those who are not looking for more exposure, cross-posting could allow your Facebook contacts that aren’t on Instagram to keep up with your activity. You will also be able to more easily recover either account if you ever lose access. 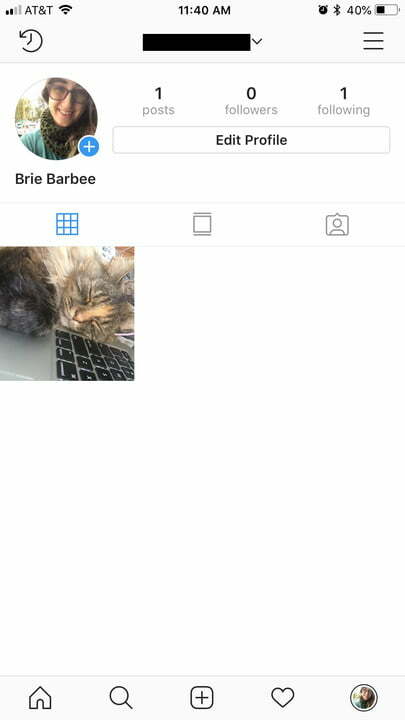 Finally, due to the seamless integration between the two platforms, your Instagram post details (including captions) will be shared to Facebook, complete with any location data, hashtags, and emojis you’ve added. Your uploads will also be saved to Facebook — in their own album, titled “Instagram photos” — allowing you to quickly tag your friends on the social network. 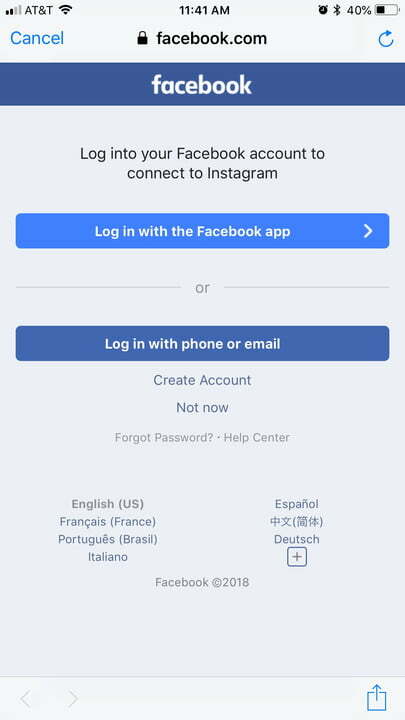 The process for linking your Facebook and Instagram accounts is almost identical in iOS and Android. Keep in mind, however, that this process can only be done via a smartphone app, not your desktop. 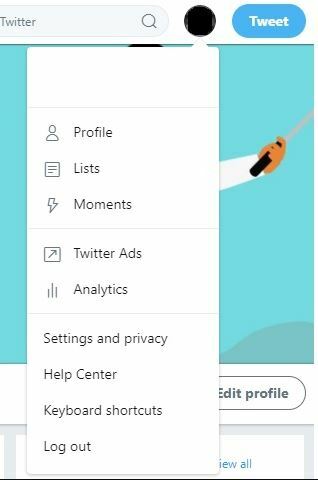 To begin, tap the three horizontal lines in the upper-right corner of your profile, followed by Settings at the bottom of your display. Next, scroll through the list of options and tap Linked Accounts under the Privacy and Security subheading. Here, you will find a list of social platforms that offer Instagram integration, with Facebook at the top of that list. Tap Facebook and sign in using your login credentials either through the Facebook app or your mobile browser. Once you’ve signed in, that’s it! Your accounts will now be connected and you won’t have to do anything to post simultaneously on both platforms. Every time you wish to share an Instagram photo on Facebook, you can do so by enabling its corresponding button on the caption screen. You can also set it to automatically share all new posts (more on that later). 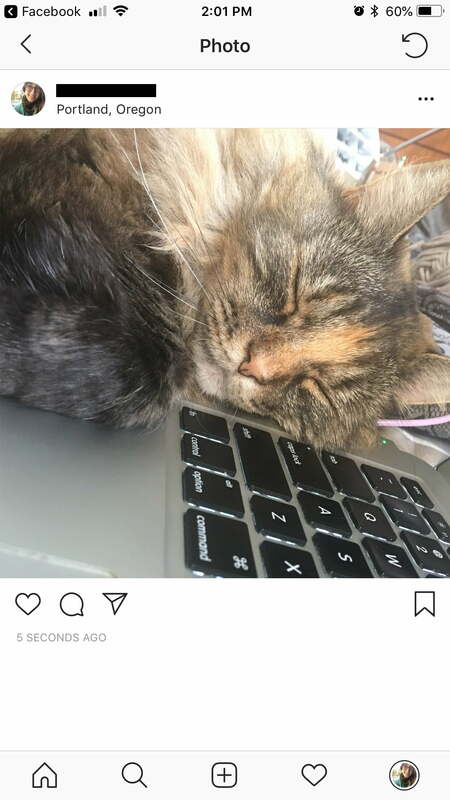 To share a previous Instagram pic on Facebook, choose the image you’d like to share from your Instagram profile and tap the ellipsis in the upper-right corner. 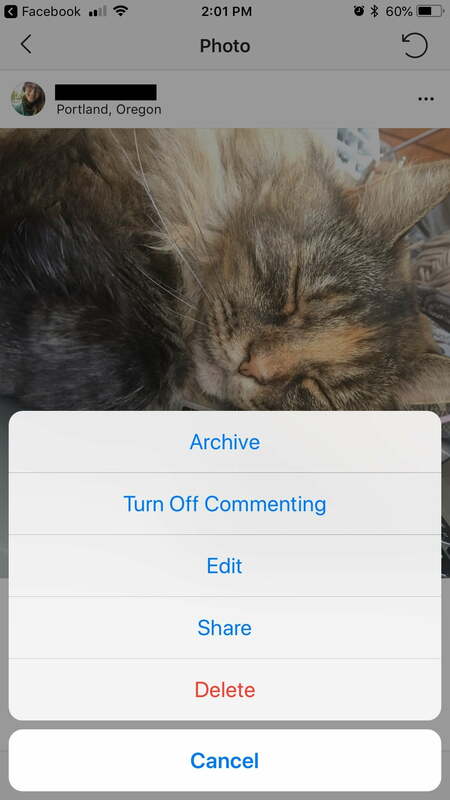 Next, tap Share in the resulting pop-up menu, toggle the slider beside Facebook, and tap the Share button again in the upper-right corner to post the photo to Facebook. Keep in mind that, for whatever reason, you can change the app’s permissions or remove its integration with Facebook at any time. 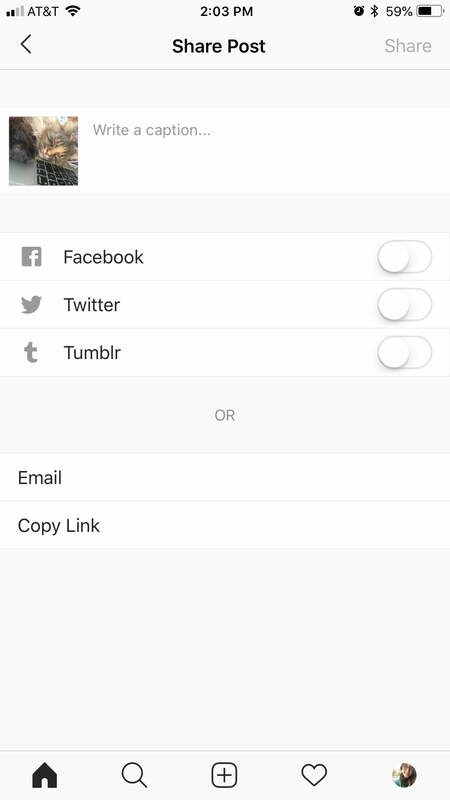 To do so, head back to the Linked Accounts menu that you accessed earlier and tap Facebook. 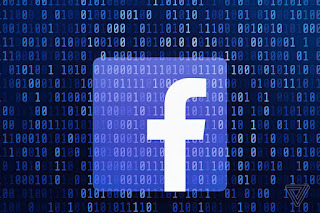 Assuming you’re connected to a Facebook account, the icon will be blue and the name associated with the account will be displayed to the right. The next page will give you some additional options regarding your account, including options to automatically share your posts and Stories to Facebook. To unlink your account, simply tap Unlink Account at the bottom of the page and confirm your decision in the resulting pop-up window. Should you reconsider, just follow the steps outlined above to reconnect them. But first, should you really consider this a rejection? 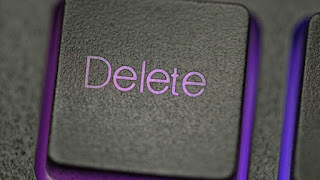 Before we look closer at why people delete each other from Facebook it should be noted that we are not talking about being deleted after an argument or otherwise angry confrontation. That’s a different kettle of fish. Here we are going to be examining cases where you’ve woken up and suddenly a friend has disappeared from your Facebook friend list …into the vacuum of cyberspace. But should you consider this a form of rejection? Or is it something else entirely? To understand how this should be interpreted it is important to first understand what could ultimately drive someone to delete you from Facebook. What caused them to do it? People rarely act without an emotional charge behind their actions. No one would pick a fight with a stranger unless something bothered them so much that their anger levels exploded out of their control. On a smaller scale we can see the same process at play when someone deletes you on Facebook. A person who was indifferent to you would never delete you. In most cases it is a sign that you have a significant place in this person’s mind. Jealousy: On social media people are often posting updates that portray their life in the most positive way. For others that stream of positive updates can lead to feelings of jealousy and the end result may be that they simply can’t stand to see your success anymore. Inability To Confront Someone: Oftentimes people become frustrated and incensed when reading another person’s post but lack the courage to directly confront them. In these cases they often choose the path of least resistance and delete you rather than express their disagreement. Retaliation For A Damaged Ego: I once saw a friend on my friend’s suggestions list and realized that they had deleted me. When I checked our record of communication I saw that I had many messages from them in my inbox that I had missed. Their fragile ego, possibly feeling hurt from my lack of reply, led them to lash out and delete me. Attempting To Get Over A Breakup: It can be hard for many ex’s to get over a relationship when they are constantly fed updates about their former boyfriend or girlfriend. To help them get over this they often find the only solution is to delete their ex and avoid hearing from them ever again. Oversensitivity: Some people simply get too upset when they see posts and updates that they don’t support. Often times overly sensitive people will take the step of deleting someone rather than dealing with the feelings and moods that these people’s posts arouse. A person who deletes you is not someone who doesn’t care about you or finds you extremely boring …but rather is someone who you’ve produced a strong emotional reaction in. In essence, someone who chooses to delete you is someone who has spent time thinking about you. If you didn’t occupy their mind on a certain level they would not care enough to delete you and at worst would simply be indifferent to you. When people encounter problems and difficulties in their life they often attempt to find an explanation or reason. This is how our minds work. Sometimes these explanations are incorrect. When people feel rejected they often connect this sense of rejection to negative things that they already feel about themselves. I call these “emotional nerves”. For example, a woman who feels unattractive will interpret being deleted on Facebook as a rejection of her looks. In my book “THE ERASE CODE: How To Get Over Anyone In Less Than A Week Using Psychology …I show how blaming emotional nerves for the breakup can make that breakup significantly more painful than it needs to be. For example, a man who worries about whether or not he is boring will assume he wasn’t interesting enough if he gets dumped. It is the presence of pre-existing “emotional nerves” and weak-spots like this that leads to hurt feelings. By understanding this psychological point, you can speed up your recovery. The same goes for getting over being deleted on Facebook. In the future if you find yourself deleted off someone’s Facebook page remember that it is likely THEM who are feeling hurt and emotionally upset …so there is no need for you to as well. Click Forgot your password? and follow the steps to reset it. Keep in mind that you'll need access to the email that you signed up for Facebook with. Go to the Find Your Account Page. Make sure to use a computer or mobile phone that you have previously used to log into your Facebook account. Torture yourself by discovering who hasn’t accepted your Facebook friend request on the world’s biggest social network. 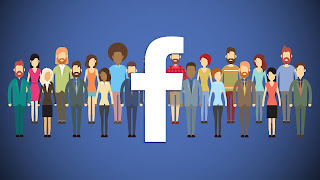 Facebook is a great way of keeping in touch with friends; you can share photos, chat, and keep up to date with each other’s lives – if the person you want to be friends with you, that is. The reality is, not everyone wants to be your Facebook friend. Everyone uses Facebook differently, some accept friend requests from everyone, others want to keep work and home life separate, while some people just ignore requests altogether. 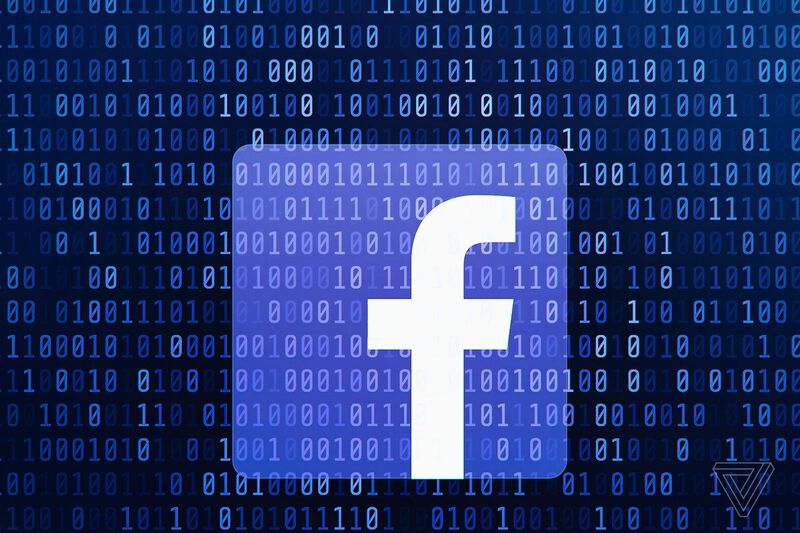 You might not know, but you can quickly find out exactly who you have a sent a Facebook friend request to and see any pending requests that the recipient hasn’t responded to. 1: Open Facebook on a computer and click the ‘Friend requests’ icon on the top right menu bar. 2: A drop-down box appears - click ‘View all’ at the bottom. 3: Look for and click ‘View Sent Requests’. 4: You’ll see any outgoing friend requests that haven’t been accepted. If you don’t have any, it will say ‘No Sent Friend Requests’. 5: Cancel outgoing request by hovering over ‘Friend Request Sent’ and clicking ‘Cancel Request’. 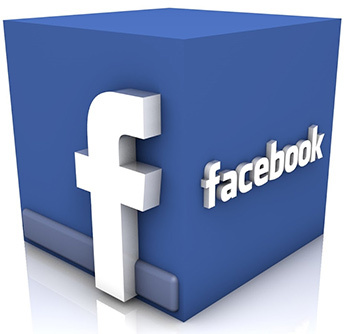 Facebook is the Web's most used social networking site, with more than 500 million users as of August 2011, according to Facebook. For you to sign up for a Facebook account, you must first enter some personal information including your email address. Facebook doesn't let individuals sign up without a confirmed email address for security and communications purposes. When you visit Facebook's (facebook.com) homepage, you have the option of signing in to your current Facebook account or creating a new account if you don't already have one. When you create a new account, you're asked to provide several pieces of personal information: your full name, the email address you want to use, a password, your gender and your birthday. In fact, your email address is so important to Facebook it's the only piece of information you're asked to enter -- and then re-enter as confirmation -- upon sign up. There are two reasons Facebook requires you to supply a valid email address when you sign up for a new account. The first reason has to do with security. Facebook allows only one account per email address; that means if you've already created an account using your email address, you won't be allowed to create a second using that same email. This protects Facebook from malicious users who would spam the site by creating multiple accounts using the same email address. Facebook even uses this email address to identify you; you must enter the email address, along with your password, every time you sign in. The second reason Facebook requires all users to supply a valid email address is because it's the main way by which the social networking site communicates with its registered users. Whether you forget your password, receive a message in your Facebook inbox or have a new friend request, Facebook uses the email address you supplied when you signed up for your account to alert you by sending a message to your email inbox. Facebook even uses this email to help you set up your account, sending you a confirmation email to your inbox, which you must click to complete the Facebook registration process. If you no longer use the email address with which you signed up for your Facebook account, you can remove it and replace it with a new contact email. Log in to your Facebook account and click on the "Account" tab in the upper right corner of the page. Click "Account Settings" from the drop-down menu. Scroll through the landing page until you see the email section; click on the "Edit" link on the far right of this section. Click on the link to "Add another email"; re-enter your Facebook password when prompted to complete the process. Select that new email address as your primary email for your Facebook account. While many choose Twitter over other social networks, many don’t consider it to be privacy-friendly at all. 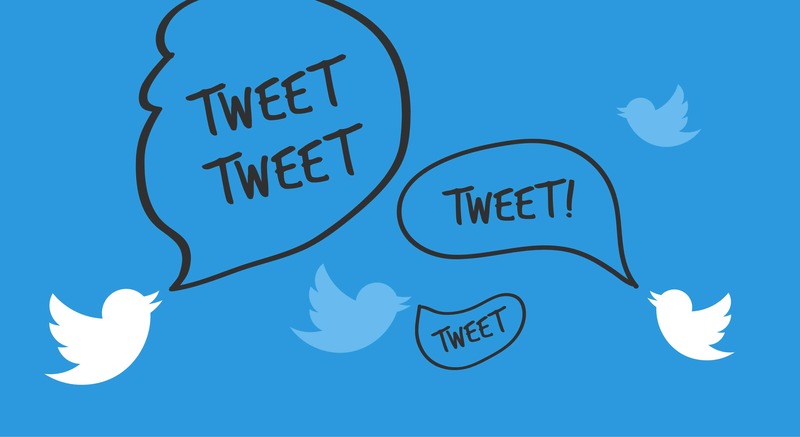 On Twitter, your posts are virtually available to everyone. Anyone can search and view your posts even without logging into their Twitter accounts. Furthermore, Twitter is one of the least user-friendly social networks. You can only post tweets with no more than 140 characters. Furthermore, there’s no way you can avoid the thousands of tweets coming your way while you’re browsing the news feed on Twitter. It’s no surprise that some users are overwhelmed by the sheer volume of content sent their way on a daily basis. If you are interested in enhancing your internet privacy and want to have some peace of mind by permanently saying goodbye to Twitter, this guide is for you. Note that once you’ve deleted your Twitter account, there’s no way that you can retrieve it. So, think twice before you proceed. Is Twitter Collecting My Private Information? Is Twitter Safe to Use? How to Download Your Twitter Archive? Your basic account information: your name, username, password, email address, and phone number. Your contact information: if you upload or sync your phone address book with Twitter, it will keep a copy of your contacts on their servers. Also, if you send an email to Twitter’s team, the contents, as well as any contact information, can be retained by them for future use. Your location: if you have a habit of tweeting from your phone, Twitter can access to your location information too. Your payment information: apparently, if you share your payment information (credit card number, billing address, etc.) with Twitter for any purpose, this information will be stored by Twitter. However, you do have the option of removing these at any time. Once your information is collected, Twitter may use it for advertising. The social network recently unveiled that your information will be utilized for advertising purposes. This means that your information collected by Twitter will be used to show you targeted ads. Apparently, Twitter is safe for use. However, the social network compromises your privacy and security making you vulnerable to external threats by hackers and cybercriminals. For example, a hacker can learn a lot more about you by checking out your tweets on Twitter. They can use this information to harm you and hack into your accounts or devices. Cyberstalkers also use this information to monitor your daily activities and gather enough information so they can blackmail you or harm you in any manner. Visit https://www.twitter.com and log in using your username and password. In the top-right corner of your browser window, click your profile picture and then head to Settings. 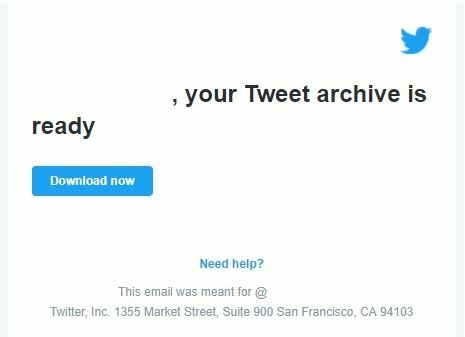 Twitter will then notify you that it has received your request and will send you an email to inform you when your archive is ready for downloading. Follow the link in that email to download your Twitter archive. In the top-right corner of your browser, click your profile picture and then head to Settings. Done! 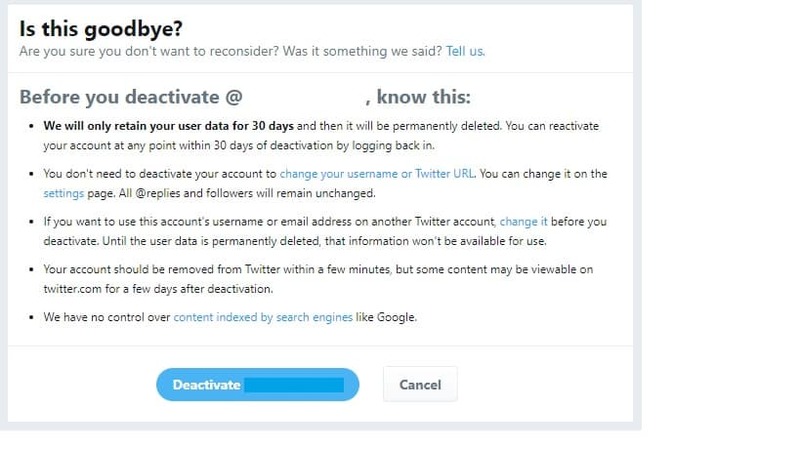 You’ve now deleted your Twitter account for good! You may see a number suggested for you when we ask you to add your mobile phone number. It will only be added to your account if you choose to add and confirm it. Keep in mind that you can control who can see your phone number. 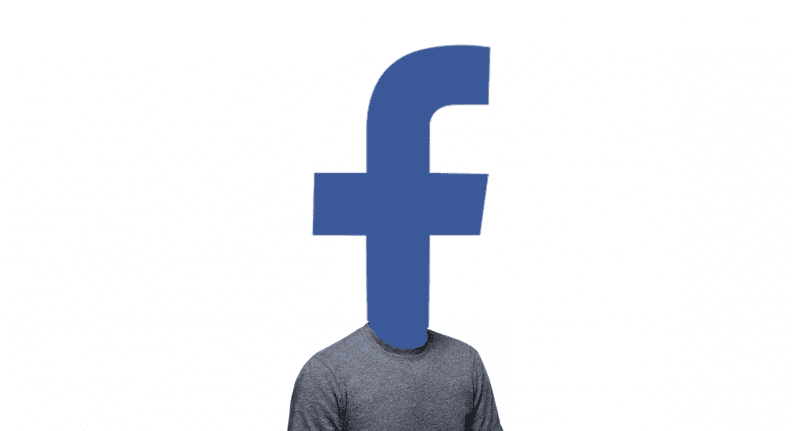 Due to Facebook's terms of service, you would never want to change your Facebook name whatsoever as long as there is any genuine reason to do so such as changing your name due to marriage. Before you go any further towards the process of changing your Facebook name, you must keep in mind that once you make amendments in your name on Facebook, you will not be able to make any further changes before the duration of 60 days. This restriction has been added to Facebook in order to prevent fake IDs and/or frauds. From the home screen, tap the Menu button to go to the apps list. 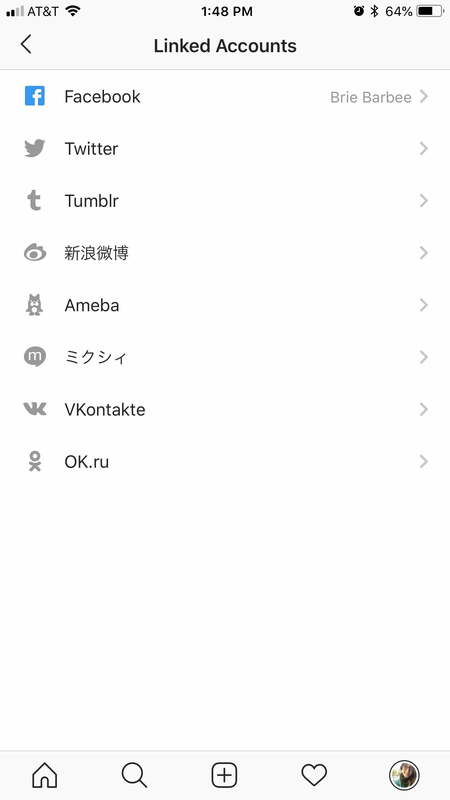 From the available apps, tap the Facebook icon. If you are not already signed in, on the opened window, provide your login details in the appropriate fields and tap the Log Inbutton. On the News Feed interface that comes up, tap the More button (Icon with three horizontal lines) from the top-right corner of the screen. 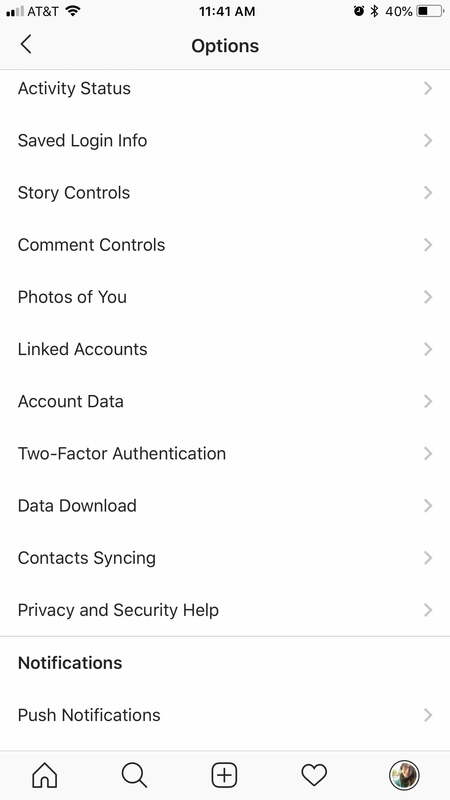 From the opened More interface, scroll down and tap the Account Settings option available under the HELP & SETTINGS section. From the Settings window, tap General. On the next window that comes up, tap the Name option. On the Change Name window, type your first name, middle name, and your last name in the First Name, Middle Name, and Last Name fields respectively. Using facebook as the page you are managing, you will see the area you normally use to update your status. Click on the “Event, Milestone +” portion and you will see an option to ask a question. Choosing question, you will then see a box that says “Ask something” and “Add Poll Options”. Click on “Add Poll Options” and enter your question in the box with your option choices below. You can also choose to allow responders to give their own option. “Post” your poll and let people know about it. Be sure to comment as time goes on to keep it fresh in people’s minds and give it more exposure. Messages on Facebook messenger may be required to be archived or un-archived so learn how do you un-archive a message on Facebook over here. Social networking websites have become a vital part of human lives. But as life is on a fast lane, users barely have the time to login to their Facebook accounts to check for Inbox messages. Sites like Facebook have incorporated options of messengers to serve this very purpose. Now when you want to text a quick message urgently, you can do so in a flash with the help of the Facebook messenger. Now, for instance your messenger is hefty with some unwanted messages which you don’t want to keep for long. Archiving them is the only option left with you. But if again you need the same message for some odd grind .You will surely attempt to unarchive the messages. If you are not accustomed to the process of un-archiving the messages. Then you are just got lucky! In this article today we show you the quick steps to un-archive messages on Facebook Messenger. As soon as you login to your profile home page, click on the symbol of messages available on the top task bar of the page. On clicking, a box will appear on screen displaying the list of all the people with whom you had conversations recently. Move your cursor to the top right corner of the tab of messages and click on the dialogue box labeled as “Search Messages” .Next you will have to type the name of the user whose messages you wish to un-archive. As you have archived it previously, it will not appear in the list. However proceed with clicking on his name. This will locate the messages for you. Click on the down arrow key on the actions menu. This will display all the actions that you could execute there-in. Choose the option “Un-archive” from there. This will unarchive the messages that you have archived previously and again you will be able to see those messages on your Facebook messenger. Now the other trick and this one are fairly quicker and you are probably going to try this more often if you are working on a slow internetconnection. So let’s find how. Open your Facebook messenger and browse to your messages. You will find a search magnifier in the right corner of your display. Make a click on that. Select the archived messages from there. The option of “Unarchive message” will be available beside each archived message. Click on un-archive and confirm your action. By doing this you can unarchive all the messages that you have archived previously on Facebook messenger. 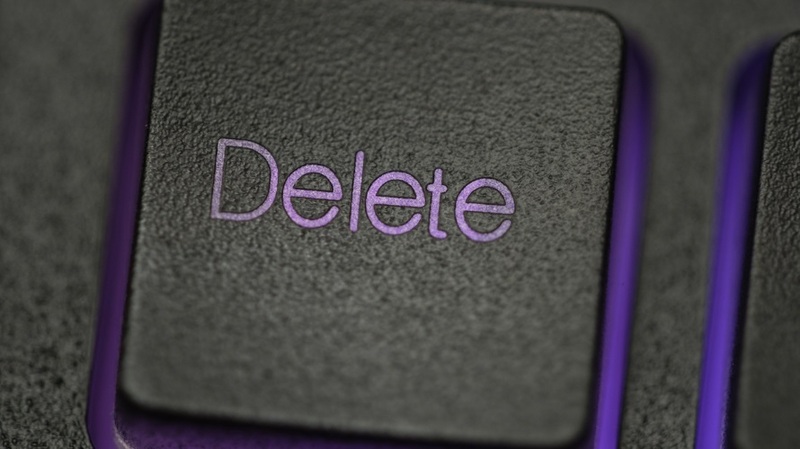 These simple steps mentioned above will help you recover your archived messages without a fuss! Smartphones have a feature that helps you find where you are by using something called Location Services. That means if you've got your smartphone on you, you never have to be lost. Even if you don't know where you are or where you're going, your smartphone knows your location and how to get you almost anywhere. Even better, if you're going out for a meal or looking for a store, your phone can make nearby recommendations. So, whether you've got an iPhone or Android phone, we'll show you how to turn on Location Services for your device. What Are Locations Services and How Do They Work? 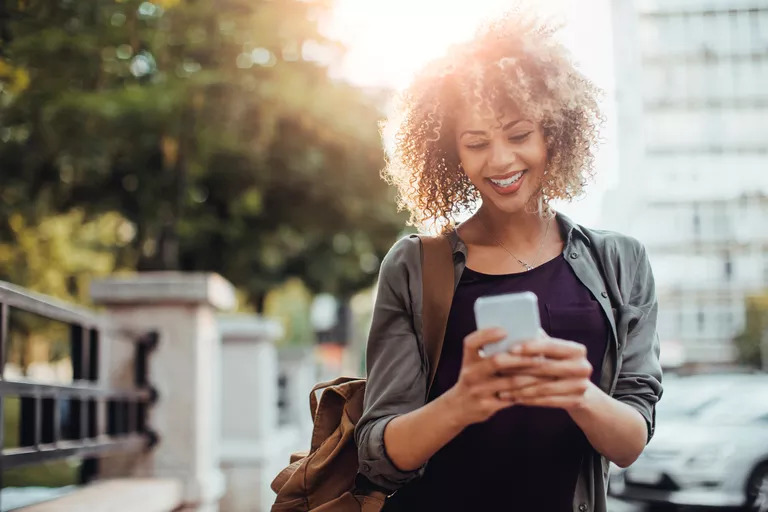 Location Services is the overall name for a set of related features used to determine your location (or the location of your phone, at least) and then provide content and services based on that. Google Maps, Find My iPhone, Yelp, and many more apps all use your phone's location to tell you where to drive, where your lost or stolen phone is now, or how many great burritos are within a quarter mile of where you're standing. Location Services work by tapping into both the hardware on your phone and multiple kinds of data about the Internet. The backbone of Location Services is usually GPS. Most smartphones have a GPS chip built into them. This lets your phone connect to the Global Positioning System network to get its location. GPS is great, but it's not always completely accurate. 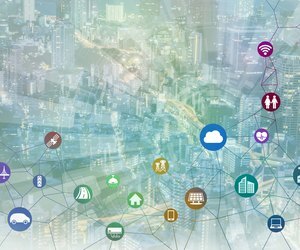 To get even better information about where you are, Location Services also use data about cellular phone networks, nearby Wi-Fi networks, and Bluetooth devices to pinpoint where you are. Combine that with crowd-sourced data and extensive mapping technology from both Apple and Google and you've got a powerful combination for figuring out what street you're on, what store you're near, and much more. Some higher-end smartphones add even more sensors, like a compass or gyroscope. Location Services figures out where you are; These sensors determine what direction you're facing and how you're moving. 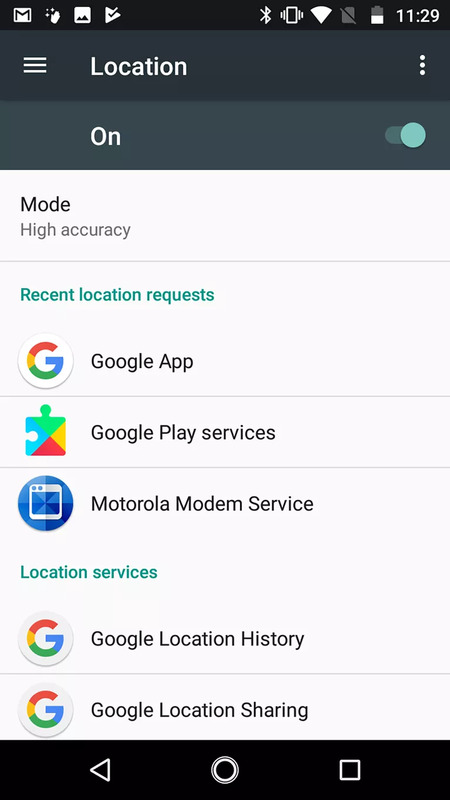 Move the Location Services slider to on/green. Location Services are now turned on and apps that need them can start accessing your location right away. These instructions were written using iOS 11, but the same steps—or very nearly the same—apply to iOS 8 and up. High accuracy: Delivers the most accurate location information by using GPS, Wi-Fi networks, Bluetooth, and cellular networks to determine your location. It's got the highest accuracy, but it uses more battery and has less privacy. Battery saving: Saves battery by not using GPS, but still uses the other technologies. Less accurate, but with the same low privacy. Device only: Best if you care a lot about privacy and are OK with somewhat less accurate data. Because it doesn't use cellular, Wi-Fi, or Bluetooth, it leaves fewer digital tracks. Apps that use Location Services may ask for permission to access your location the first time you launch them. 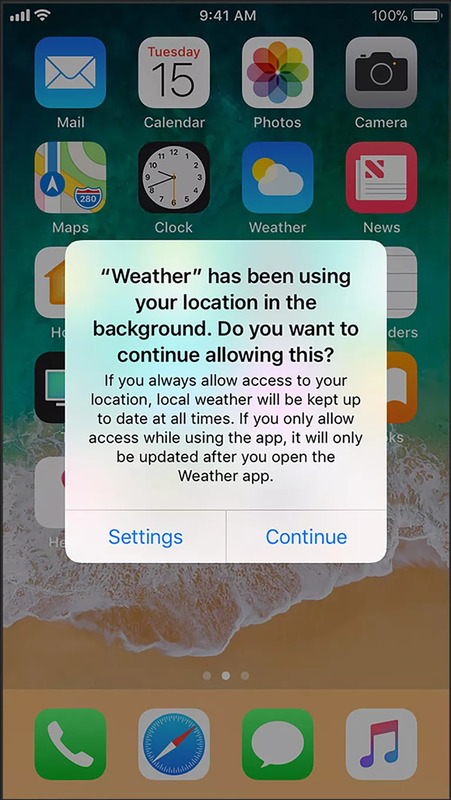 You can choose to allow access or not, but some apps need to know your location to function properly. When making this choice, just ask yourself if it makes sense for the app to use your location. Your phone may also occasionally ask if you want to keep letting an app use your location. This is a privacy feature to make sure you're aware of what data apps are accessing. Craigslist allows you to set a specific location for an item in the "Specific Location" box. Although Craigslist sites are broken down by city, the specific location box is helpful if your town does not have a Craigslist site and you are posting the item on the nearest metro area's site. It's also useful for specifying a neighborhood or community within a city. You can access the listing editor to change the specific location after creating your Craigslist ad. Visit the Craiglist site for your city and click "My Account." Sign in to your account to bring up the listing editor. Access the email address you used to create the listing, if you did not create a Craigslist account when you listed the item. Click on the email you received from Craigslist marked "POST/EDIT/Delete -[Item Name]." Click on the "Edit Again" button at the bottom of the listing page. Scroll to the "Specific Location" box. Delete the current specific location, and then type the new location. Click on "Continue" to save the changes to your item's location.